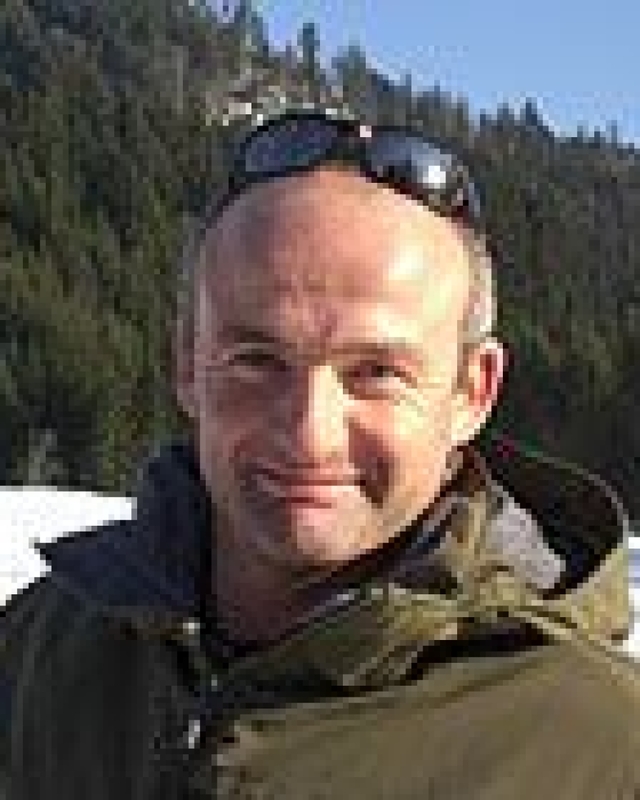 Richard Mayon-White will attempt a solo crossing by boat along the Tropic of Cancer across the Atlantic Ocean between October and December 2013. The voyage will start in Gibraltar, and Richard will then sail south, following the western coastline of Morocco and the Western Sahara, until reaching the Tropic of Cancer at 23 degrees north. Richard will then alter course to steer the yacht due west along the Tropic of Cancer, which he will follow for 3,000 miles until reaching Antigua. 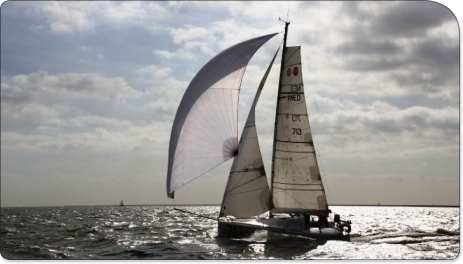 The aim of the Challenge is to raise funds for two beneficiary charities on a 50/50 share basis. 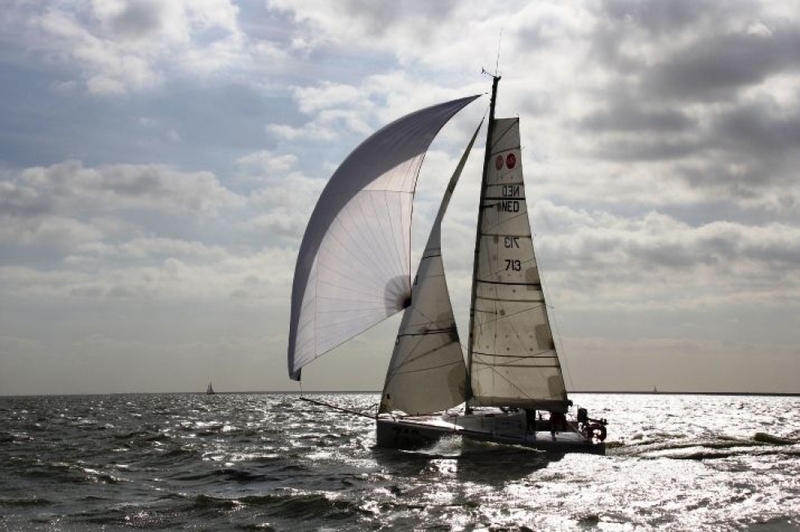 The two beneficiary charities are the Sobell House Hospice Charity Limited (charity number 1118646 ) and Sail 4 Cancer (charity number 1090133). The Challenge will aim to raise £40,000 in total. Donations will be used to fund a research initiative run by Sobell House in Oxford which aims to educate, empower and support the lay carers (family & friends) of terminally ill patients. 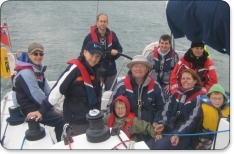 In addition, Sail 4 Cancer will establish a Sobell House Respite Fund, which will provide appropriate respite holidays and activities for patients and carers involved in the scheme. This initiative is designed to pilot and test interventions that fit into the National End of Life Care Strategy. Donations of any amount are very welcome. Each donation of £10 (or multiples of £10) will also have a designated mile of the voyage attributed to you (or whoever you choose). You will receive a 'name check' in the daily log on the day your mile is sailed. 100% of the money you donate will go to Sail 4 Cancer and Sobell House. All funds are being equally divided between Sail 4 Cancer and Sobell House. The two beneficiary charities will use the funds raised through this Challenge to the benefit of families affected by cancer and terminal illness. They care for the whole patient, physically psychologically and spiritually and with a focus on the individuals needs rather than the generic disease. Patients with life limiting illnesses often need more care than those whose illness is curable or chronic which can often leave the individual feeling vulnerable and disadvantaged. "Our aim is to make life as normal, pain-free , and fulfilling as possible in the time they have remaining." 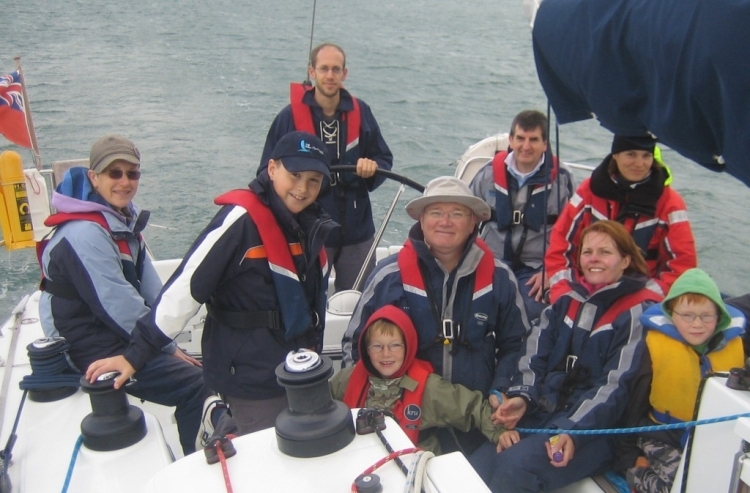 Sail 4 Cancer will use the funds raised to provide respite breaks for families affected by cancer, to provide sailing weekends for teenagers with cancer and to provide breaks for young carers. At a time when normal life has been overtaken by hospital appointments and treatment, when worry, fear and uncertainty are part of every day, it can be so helpful and indeed healthy to take a little time out together doing something different, enjoyable, exhilarating and memorable. Often however illness brings financial constraints which mean such an opportunity is out of reach to those who need it most and this is where Sail 4 Cancer step in. Whether it's for a day, a weekend or a week, we offer desperately needed respite to families and individuals living with cancer. You only have to read a few of the testimonials on this website to realise the huge impact these experiences can have. A huge thank you to Longparish Playgroup for raising this at their Christmas Party!! Congratulations on a brilliant achievement. Congratulations! So enjoyed reading your posts, made me laugh, cry and burst with pride! Such a great cause. Well done almost there, Ben and all your family will be proud of you. all the best sharron from playgroup. Have followed you on Facebook. Wishing you and your campaign the very best. A little something to keep you going during these challenging days. Best of British with the last few hundred miles Richard!! You have done amazingly well... We are very proud to have such an 'adventurer' just up the road. I'm really hoping you have grown a set of handlebars!! What to say? I have no idea what you are going through, but keep on going til you get there. Presque tu es arrivé mon ami!!! Allez allez allez!!! Almost there Rich!! Antigua is in sight (well from the satellite pic anyway!). You're a legend, hang in there, from the Evans's in NZ. Well done on reaching half way. The downhill bit is always easier. Just remember to brake at the bottom. Richard, proud of you cousin. Be safe, great cause. What you are doing makes IM look a walk in the park! Glad to hear things have calmed down a bit for you. Really enjoying reading yr updates. Look forward to hearing that you have made it safe and sound. Take care. Enjoying the updates - Good Luck! Richard - we're watching your progress avidly so hope you get back underway soon! With love, Susie. Great effort well done, inspiring challenge! You've now rowed and sailed the Atlantic, what next? Backstroke? Fair winds and good speed. Makes the Atacama look rather wimpy and dry... best of luck! Wishing you all the best for a safe trip as you begin the journey. Thinking of you all the way and hope you have fair winds and calm seas. Another donation to get you up to £19,000 before departure. Wishing you calm seas, fair winds, safe voyage and happy landing. Love to you and your family. Wishing you fair winds for a speedy crossing. In fact, hopefully some of the gusts from Hampshire right now reach down to the Med! We will be following you with Ben at Playgroup. What a brave journey for two great causes. Good luck R! Best wishes from Vicky and all at Cole Marie. Richard - a very belated donation from me, Caroline and the rest of the family. V.best of luck for the crossing, and hope that you enjoy the peace and quiet! The things people will do to avoid the washing up! Have a safe trip and don't be gone too long. Good luck Richard. I'm guessing that this Atlantic crossing will be quieter than the last one! A huge challenge, which you will meet with determination and courage. Thoughts and love for you and your family will be with you all the way. Good luck Richard! From Jennie, Dan, James, William and Joe. Great cause Richard - have a safe voyage! Raised from very kind donations at the Sandbanks Boatshow at Salterns Marina on 11th and 12th May. Thank you so much to all who donated! Great cause Richard, and good luck all the way. Excellent causes. Excellent challenges. All the very best of luck and stay safe. Rick.... I remember rowing with you, I know you've got what it takes. This sounds a fantastic challenge. All the best Richard.